That AMX deserved the steel wall. jk, nice driving. If you listen carefully, you can still hear my long low whistle....well played. Nice job, btw your score isnt registerd. You havent choosen a tank or it bugged most likely. It's fixed now. Thanks all. brilliant play under pressure, I bet your heart sank when half your team flopped within the first two mins. 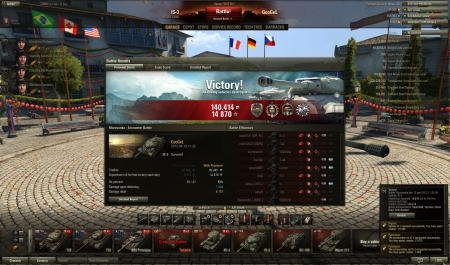 What worried me was the low ammo count with 4 tanks left after that I had booted out the arty who was my biggest threat. I had a decent amount of HP to grab home the round, that I knew, if I could pick them off over there in the mid or at least try get them to come single handed against me. Tiger driver did a great job btw at slowing them down. That scouts constant detracking was really where I saw "the end" sign but after a miniscule of time I finally had enough of that puny tank. 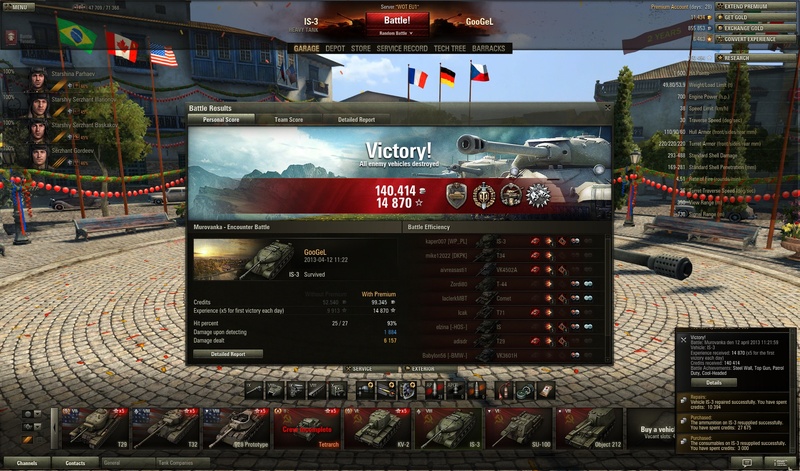 Since the T34 didn't come for it, for a free kill. He was too scared. I thought I'd die at the start while fighting that IS-3 tbh. That AMX corpse saved my day however. But yeah, a tiny gutted feeling when the AMX died for a stupid reason.